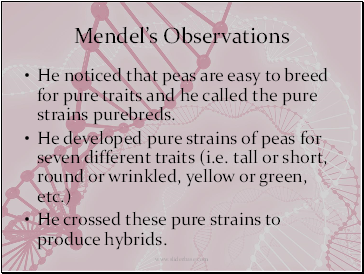 He noticed that peas are easy to breed for pure traits and he called the pure strains purebreds. 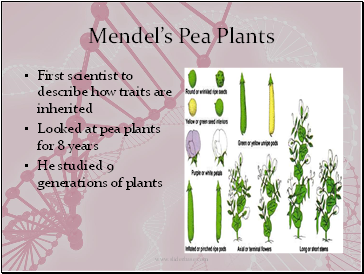 He crossed these pure strains to produce hybrids. 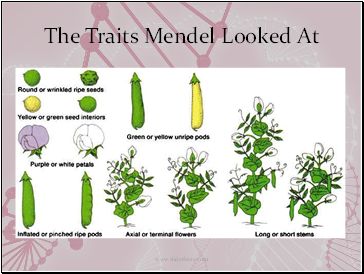 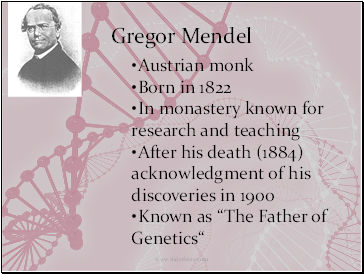 Mendel crossed purebred tall plants with purebred short plants and the first generation plants were all tall. 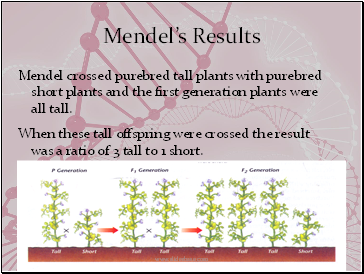 When these tall offspring were crossed the result was a ratio of 3 tall to 1 short. 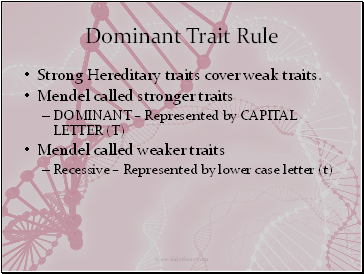 Strong Hereditary traits cover weak traits. 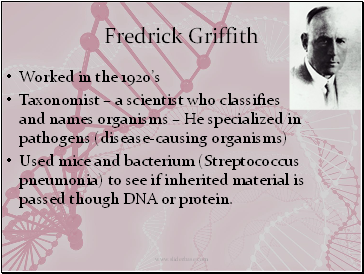 Used mice and bacterium (Streptococcus pneumonia) to see if inherited material is passed though DNA or protein. 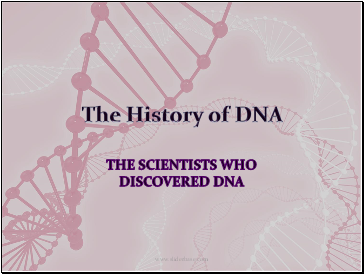 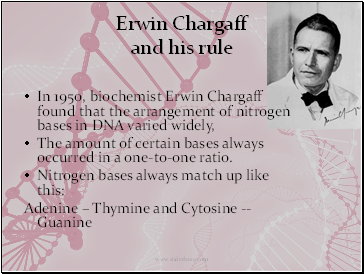 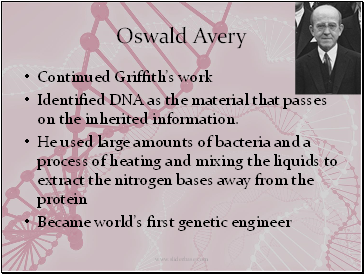 Identified DNA as the material that passes on the inherited information.